If you are a blogger or student, you need to have the Articles and Essays error free. So today I will introduce you to this Amazing Tool called Grammarly. 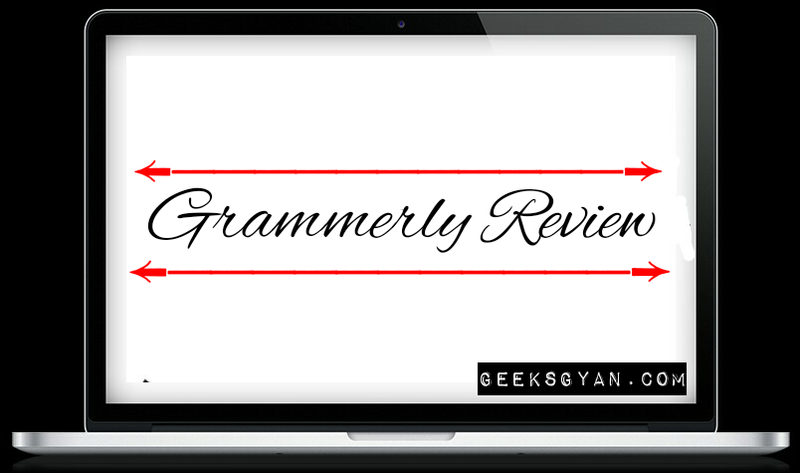 Grammarly is a tool which helps us to avoid Grammatical mistakes,punctuation errors, and Improve Writing skills. It also offers synonyms and suggests alternative words. It also checks for incorrect use of tenses and other grammatical errors. It detects your all mistakes automatically and also it highlights your mistakes with Green and red colors.Green colored highlighted lines indicate basic mistakes whereas red colored lines indicate critical mistakes. It also provides other services like Plagiarism Checker, Spell Checker,etc. So you can work Easily and everywhere with the perfect grammar ever. 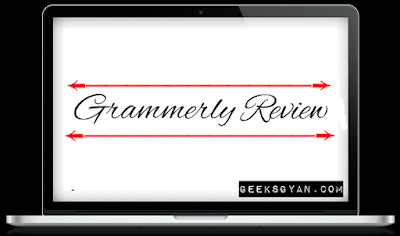 Why should you start using Grammarly for Writing? Grammarly has many special features. Some of them are discussed below. whenever we write articles Fastly.Grammarly highlights every spelling mistakes and it suggests appropriate words which can be used in place of that of the word.So by using this Feature of Grammarly you can avoid common mistakes while writing. I love this tool.For Bloggers it's a must have tool.With this tool you don't need to worry about the article which you have accepted for a guest post is unique or not. It checks your articles from about 10 billion web pages.Grammarly is also one of our top picks in the best tools for plagiarism detection. We often make simple punctuation errors when we write articles in a hurry.With Grammarly, you don't need to worry about any Punctuation errors in your sentences.It easily detects very smallest punctuation errors, no matter if you have written long sentences or short. It makes our articles looking more professional and clean. If you are a writer,then Grammarly will help you to avoid making Grammatical mistakes.It checks about 250+ complex and simple errors that eat our time for correcting those. It's algorithm is made for checking text contents and find grammatical mistakes to make articles more professional and clean. Vocabulary checking is one of the best features of Grammarly.It suggests similar words or synonyms For some words which you have repeated many times in your article. Its vocabulary enhancing feature suggest similar and alternate words for repetitive words to make you article more professional and readable. So its end of our another article which was written to provide you the best and the most accurate piece of knowledge from The Internet. We write these articles for you so we love to hear from you too. So do comment on this post if you have anything to tell or ask.